is this a powerful evidence of Terra being the Guardian of Ansem? 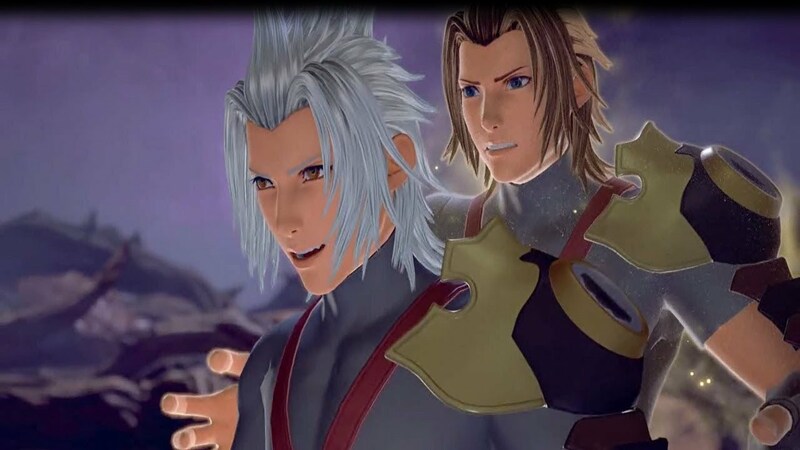 [video]https://m.youtube.com/watch?v=tZMsBJK8Y3I[/video] skip to 2:55 and see, notice how terra emerges from terranort back like the Gurdian does literally floating behind him, ok i know this evidence not that strong but with kingdom hearts every little detail counts right? yea in the end this still a theory not a fact. I don't see much evidence there; first of all, I don't know whether Terra would recognize Riku after 10+ years since he only met him briefly as a child. Reaching out is not that much of a big thing in this series because it happens quite often; Terranort reaching out for Aqua to choke her; Vanitas reaching out for Sora to ... I don't know, threaten him? ; Riku reaching out for Sora in the opening of KH1 to pull him into his darkness. Yes, he appears from behind in 0.2 but that's the best trick to stop someone, to grab him from behind. In BBS and 0.2 we see Terra fighting Xehanort from within and both times we see him in his physical form as Terra, so I think Terra has actually not given in to darkness yet. I don't say the theory's impossible, but I don't see much pointing towards that either. The Guardian reached out and Riku then quoted something Terra said to him as a child. It really did feel like Terra and Riku were sharing a moment there. I don't really have nor search for much evidence, I just hope Guardian is something more than just Terra/Terra's Darkness because it would be a bit boring and feel like a waste of an entity. The "ohhh this character you fight is retroactively a derivative of Terra!" feel is something I already had experienced fully with Ansem SoD and Xemnas, I don't really need Guardian to be the missing third or something like that. I wouldnt mind the Guardian being terras darkness. Like that's just an ability he has within the manipulation of his darkness. And to be fair we kinda already got the "oh look who it is" scenario that DarkosOverlord mentioned. Cuz in BBS we learned Ansem SOD was the heartless of Terranort.